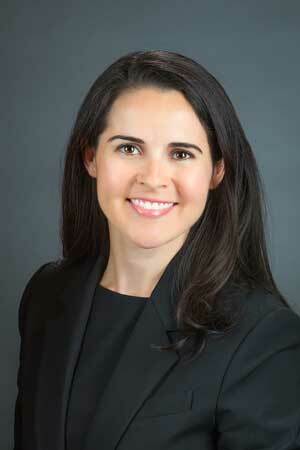 Paige I. Bernick is an associate attorney with Cornelius & Collins, LLP. She concentrates her practice in general civil litigation, including employment litigation, health care liability, premises liability, construction litigation, and insurance defense. Prior to joining the firm, Paige served for over four years as a trial attorney for the U.S. Department of Labor, Office of the Solicitor, in Nashville. In that role, she represented the Secretary of Labor litigating claims relating to health and safety regulations. She previously clerked for The Honorable Arnold Goldin in Chancery Court in Shelby County. Paige received a Bachelor of Arts in History and Certificate in American Studies from Princeton University and graduated from the University of Tennessee College of Law with honors. While in law school, she authored an article published in the Tennessee Journal of Law and Policy and was active on the National Mock Trial Team, Moot Court Board, Advocacy Clinic, Law Women, and Student Bar Association. She currently serves as a committee member for the Young Lawyers Division of the Nashville Bar Association and was honored in 2016 as one of Nashville’s Top 30 Under 30. Paige resides with her husband, David Watkins, in West Nashville.